Would you like to create the perfect wardrobe without spending a fortune? One that has endless outfit possibilities and makes you feel confident and stylish every day? Of course you would! Why wouldn’t you want to look your best every day? Do you go shopping every time you have an event, adding more unworn pieces to your wardrobe that go with nothing else? Maybe you are trying to lose weight and are waiting until the scales read that magic number. Well let me tell you, you deserve to look gorgeous today, not in 6 months time. Maybe you feel overlooked at work because your appearance isn’t creating the right impression. Honestly you can step through the door with confidence. Or maybe you’ve reached a certain age where hot flushes dictate your wardrobe choices. Don’t panic, knowing what to wear and how will still have you looking elegant. Or are you just bored with your wardrobe and struggle to pull interesting outfits together. Before you waste any more money on unworn items, read on to see how I can help. The new Style Guide, How to Become Your Own Personal Stylist course will transform your look, boost your confidence and save you money! This course is going to help you to not only love opening your wardrobe doors, but bring back the joy of shopping and dressing. 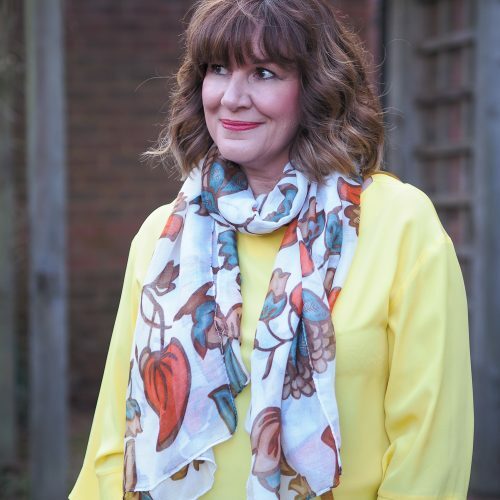 Once you know what is right for you – both inside and out – you will love getting dressed in the morning and an invitation will be an exciting opportunity to wear something you love, rather than a “what to wear” dilemma. The course is delivered by lessons, including examples, “how tos” and my top styling tips. It is supplemented with your buildable Style Guide where you can record everything you have learned and add in all of the downloadable tip sheets. Are you expressing who you really are? 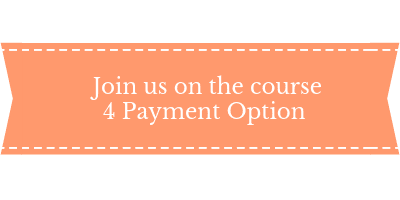 The course contains four modules and multiple lessons within each and is held in a private website for course members. There are also downloadable tip sheets and your Style Guide Booklet for you to personalise as you work through the course. When you enrol you will receive your pre-course work which includes exercises to get you prepared for the course and the first pages of your Style Guide Booklet. Your Style Guide Booklet then grows as you work through the course. Over the last 25 years I have worked with thousands of women, as a stylist, boutique owner and now as the creator of Looking Stylish and it’s unique online services. 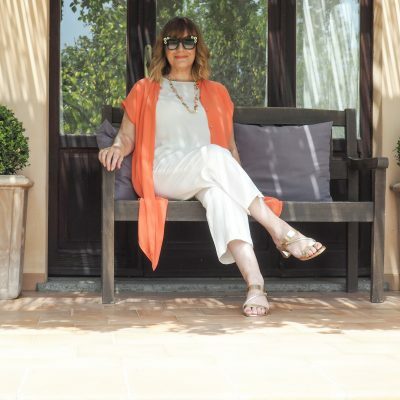 During that time I have developed my own methodology of style and colour analysis and created a unique personalised online capsule wardrobe service, used by hundreds women. 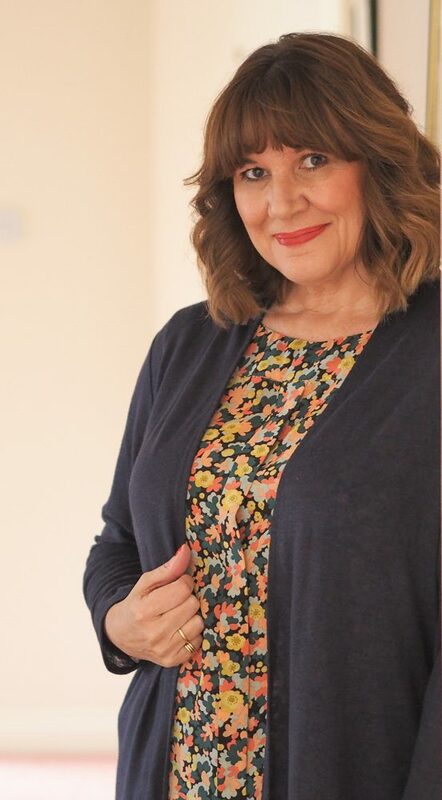 I have met so many women who desperately want to have confidence in their appearance and to understand how they can look their absolute best every day. Because my one to one services are always in demand and with waiting lists, I have designed this course so that you can still work with me even if a personal service isn’t possible. Nothing gives me more pleasure than seeing one of my clients looking fabulous but more importantly feeling confident too. We think so yes, but you would expect us to say that! What we will add though is – what is confidence worth to you? If you want to think about it monetary terms just add up the cost of your outfit today (in many cases it will be more than £249) or better still add up the cost of all the items in your wardrobe that you don’t wear. This information will last you a lifetime and will quickly save you far more than your investment. 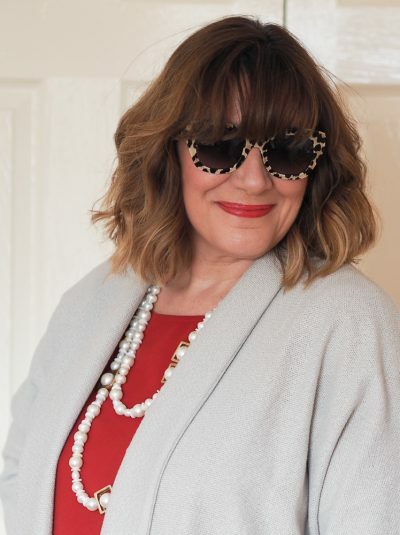 Plus you are getting access to 25 years worth of styling experience where every client is treated as an individual, as well as all of my styling tips and tricks that will give you confidence in your personal style. Will I still benefit if I have had a style consultation before? Yes – if you are looking at this course it probably means you have some unanswered questions or still don’t feel that your wardrobe is working for you. We will spend much more time on looking at your personality and really honing in to what suits you both physically and personally. Then you will learn how to add your own personal flair rather than following a list of rules. What if I am still confused after taking the course? Don’t worry we are here to help, there will be opportunities for you to get questions answered during the course. Ready to join us – we hope so!